As an investigative journalist Schlanger has contributed to a number of books published by EIR. Some of the research was incorporated in The Ugly Truth About the ADL, Bush: The Unauthorized Biography, for example. Schlanger himself made a run for the U.S. Senate in 1990, receiving 250,000 votes in the TexasDemocratic primary. A great piece from our friends over at the Thundering Heard Blog. "Worthless derivatives are being created by Wall St and High St at the rate of a million dollars per second! Governments have promised citizens far more than can ever be funded. If the big banks told the truth about their financial condition, all of them would be seen as insolvent. And it has been obvious for years that most countries in the world had taken on more debt than they could ever repay, and that their only strategy would be to print money. They are doing so." Jim enters at the 12min mark. To eliminate any chance of fake gold entering our network, we only buy from certified refiners and dealers who purchase direct from the manufacturers. Many are ISO certified refiners. Sellers cannot just walk into our office to sell. Everyone has to book an appointment to meet with us in private. This deters any "fly by night" sellers from our business, and we do not release funds to sellers for 24 hrs. 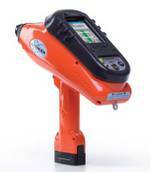 Provided that the product is thoroughly examined by us and our trusted friend XRF, counterfeiters BEWARE! Government's and Central Banks around the world are actively pursuing gold as a means of collateral to settle debts. Are we on the road to a NEW Gold Standard? Video: "Gold and the Eurozone Crisis." Gold is primarily an alternative to fiat currency and a storehold of wealth. The main advantage that gold has over other currencies is that it can’t be printed. While we have just gone through a period in which the degree of monetary stimulation has ebbed, the ongoing deleveraging means that developed economic will remain highly reliably on continued stimulation for years. By the end of the quarter, central banks were starting to shift back toward renewed stimulation. Four years after the 2008 financial crisis, banks are behaving more recklessly than ever. If these changes are instituted, there is a danger of interference in the gold market price by the public, but on the upside not the downside. After all, it will be in the interests of the monetary system to see higher gold prices rather than lower prices that the powers-that-be appeared to want between 1985 and 2005. But they will want to see a level of stability consistent with that of currencies and other monetary assets in that situation. Their desire for this can be overwhelming, as we saw in 1933 when U.S. citizens were banned from holding most forms of gold in the interest of the nation's monetary system. It was not until 1974 that they were again permitted to do so; however, this permission came with the proviso that owning gold from then on was a "privilege, not a right" as though to warn us all that things could change again. Even though governments attempted to write gold out of the system, they made it clear that they considered gold as part of their domain.